If you are browsing for BBA College inChandigarh Punjab then you are at the right destination. Here we will have adiscussion for the BBA course, its future and college for the same inChandigarh and Punjab. BBA is known as“Bachelors in Business Administration” hence before opting this course you mustbe sure about its content and your expertise. The transparency is always neededbecause no one knows you better than you. Hence if you have the potential todeal with the business approach and dreaming for the same then you can haveyour detailed analysis for the course of BBA. If you have the plan to join any business venture or looking to set up your career in the commercial field then only BBA will be fine for you. Here one can get the opportunity to learn concepts of business and its management. Also, you will be able to apply for banking sector either in private or government. Hence analyze yourself before you apply for any BBA college in Chandigarh Punjab. Now let us move ahead with the college which is providing the course of BBA. Universal Group of institutions is providing all graduate and postgraduate courses and BBA is one of them. The institution is affiliated to PTU and approved by AICTE. The course was implemented with a single motto to deliver the best talent to the nation who can face the challenges of the business industry. Business is something which can never be smooth; ups-downs always come in a way. Hence the institution strives hard to create the mind in such a way so that they could face all the scenarios. Here you will get a chance to give shape your career under the guidance of experts who are having experience of decades. They will not only give you perfection in the course content but also make you aware of the current business condition globally. You will have that power so that you will be able to generate your own ideas in terms of any financial decisions. It is only because the BBA College in Chandigarh Punjab provides you a platform where you can have all the freedom to learn beyond the limits. PM: Project Management (PM) is the baseline for any corporate. If you are a good project manager then you are taking the company to the new horizon because the job responsibility revolves around the concept of ontime and quality execution of the product. AM: Account Manager (AM) takes care of all the finance flow of the company. They compare incoming and outgoing funds of the company and based on that profit and loss of the company gets analyzed. They also work on various taxes etc. Apart from these sectors, one can apply for banking sector where they can be appointed as an accounts manager, cashier, clerk, etc. Hence BBA that is Bachelors in Business Administration is having the huge scope and you should have correct knowledge about it. Universal group of Institutions is one of the BBA colleges in Chandigarh Punjab where you will have all current updates about the stream. Duration of the course is of 3 years and students who are from the commerce background usually apply for the BBA program. The reason is very simple, a commerce student has some basic idea and they can perform well enough in BBA. So guys what are you looking for? 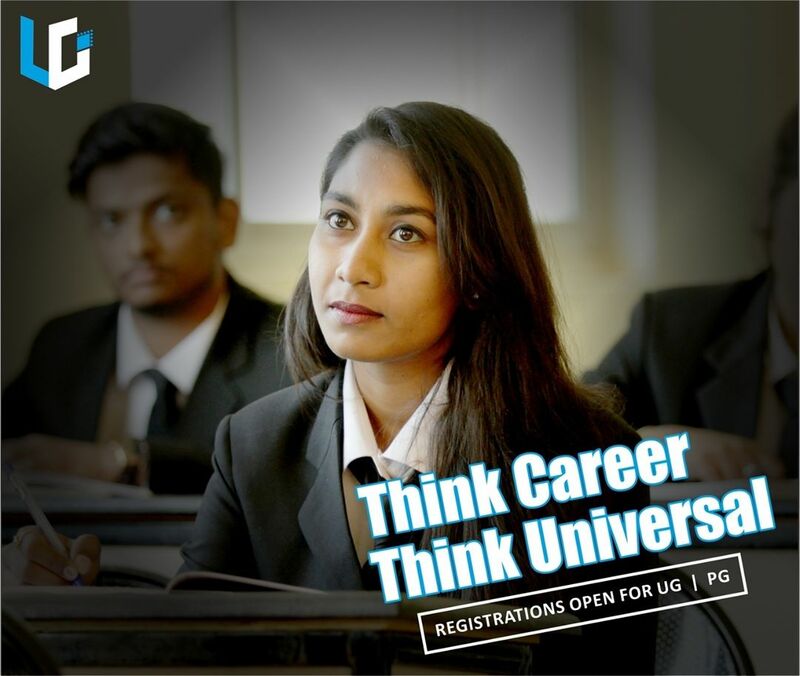 If your board exams are over and looking for BBA College in Chandigarh Punjab then browse the web portal of Universal Group of institutions where you will get a complete package of knowledge. Along with BBA, the institution is offering various programs like B.Tech, BCA, B.com, LLB, GNM, ANM, Polytechnic, BA, B-Ed,etc. If you need any kind of consultation then do not hesitate in calling us. Our support team guides you in a best possible manner. Simply browse the web portal and leave your details. We will follow you and provide you the best solution. We will be more than happy to help you. Looking to see you on portal soon. Thank you for being with us. Stay connected for all the latest updates. Good luck with your search!! !